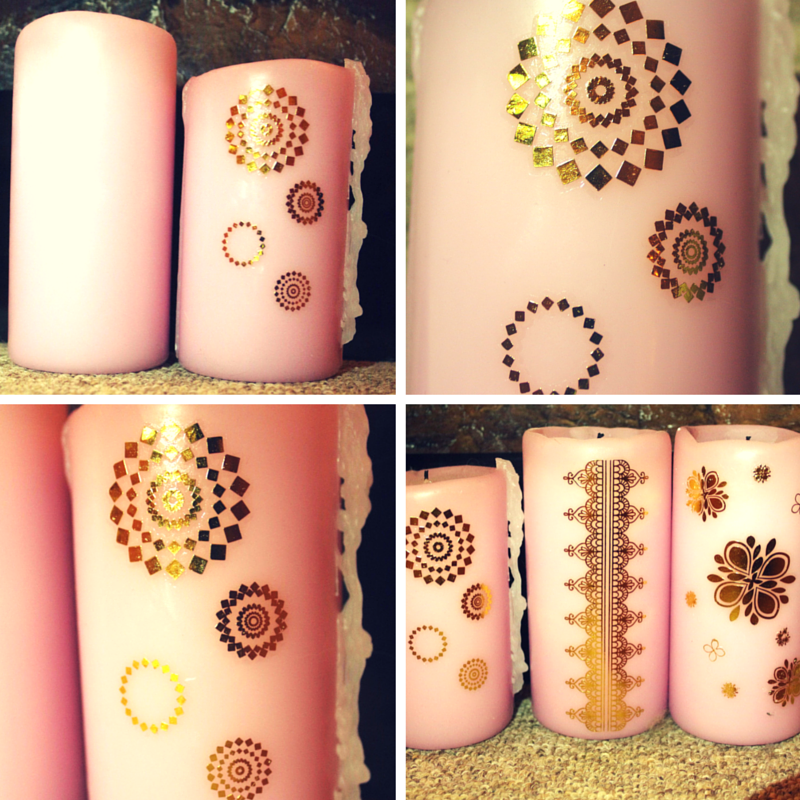 DIY Beautiful Copper Detailed Candles. 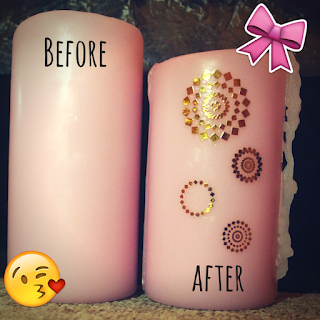 So as you may or may not know, along with skincare, makeup and fashion, I have a little penchant for DIY. I see loads of things online that I love whether it's from Urban Outfitters to Anthropologie, then I see the price tag and a little voice pops into my head and says "I could make that!". Now don't get me wrong I am in no way a pro at this and I lust over the skills of some of the YouTube DIYers we all know and love. I can't put up a shelf but I can do little things. So today I am going to show you a little thing that worked out well. 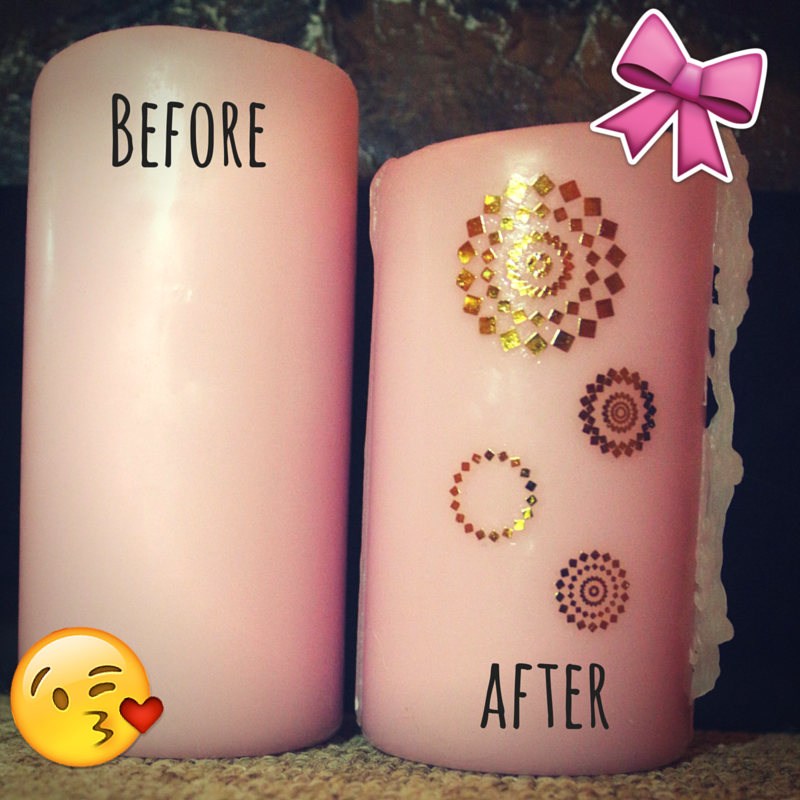 This is a super cute DIY, perfect for any tumblr bedroom or just to jazz up some candles you have around the house. Since getting cats my candles are used less and less so I thought I'd make them a feature while they're not lit. This is a very cheap DIY and you might have everything you need around the house. So let's get started. 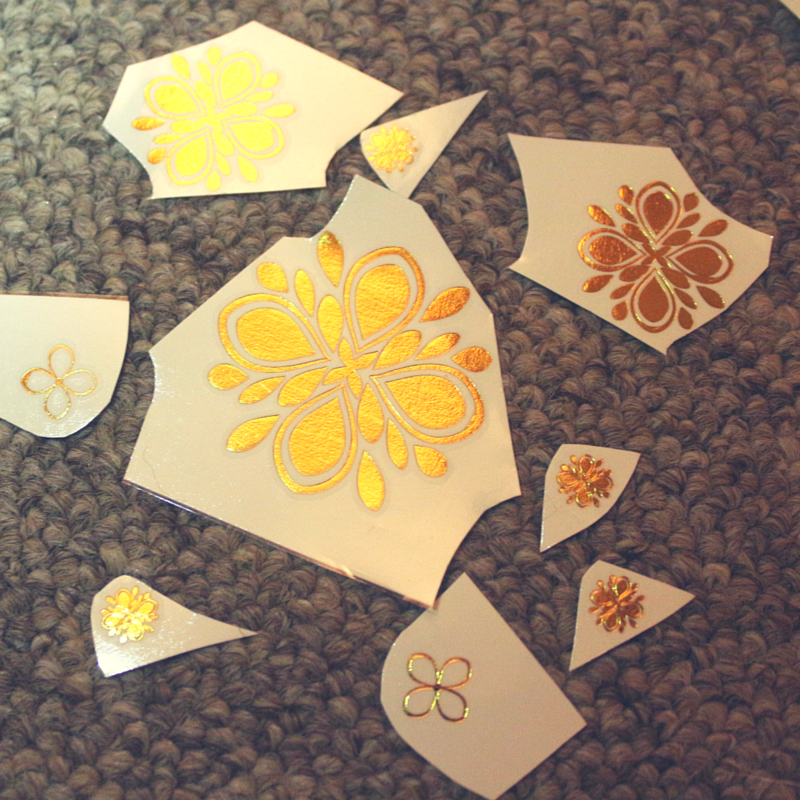 Choose the transfers you want to use and carefully cut around them, try to get as close to the design as possible for a more seamless result. 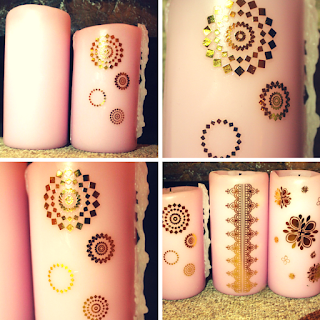 With the plastic backing still on, work out how you want your transfers arranged on your candle. Once this is done I find it easiest to lay them out in front of me in that design. This way it's easier when it comes to applying. Remove the plastic backing and adhere to the candle where you want the design to go. 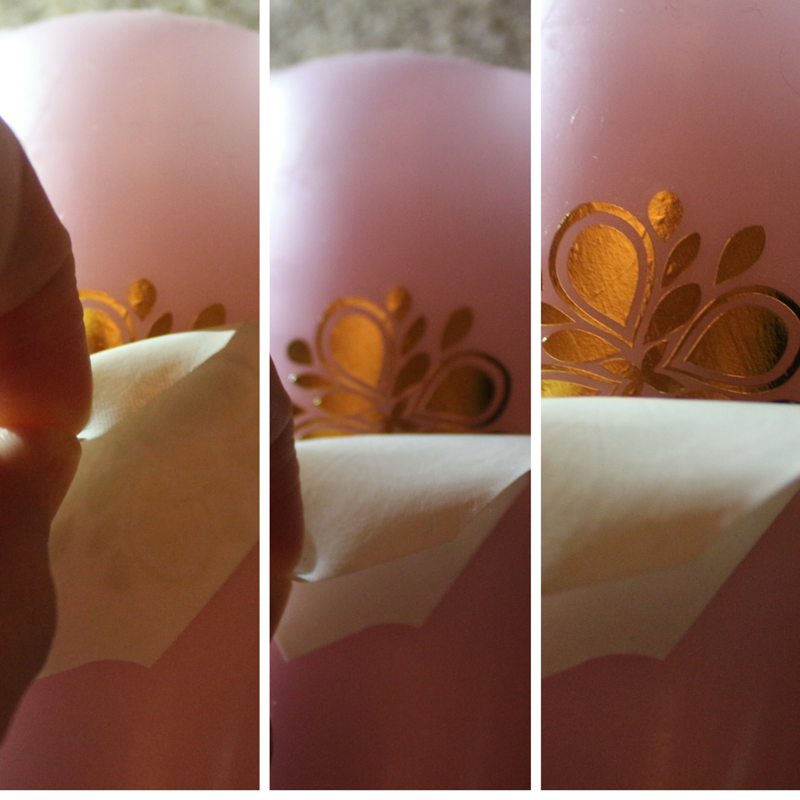 Because the candles are wax sometimes the transfer won't stick enough so use two fingers to hold down when you move only step 4. Wet the back of your transfer. Try and hold it as secure as possible to avoid slipping or tearing. 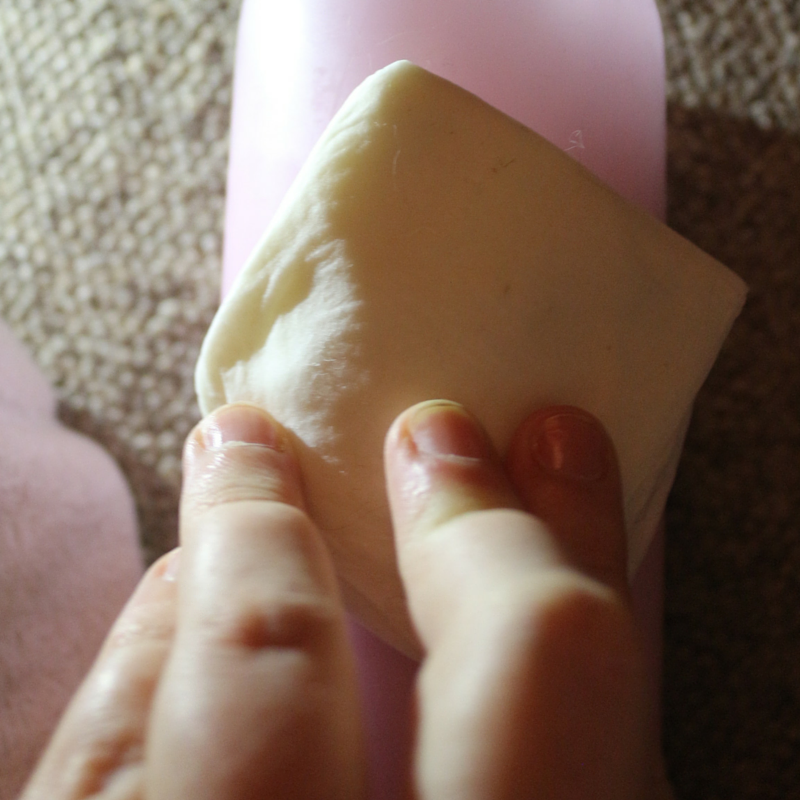 You need to make sure that the transfer is wet enough before removing. The best indicator of this is if you can see the design through the paper then it's probably done. 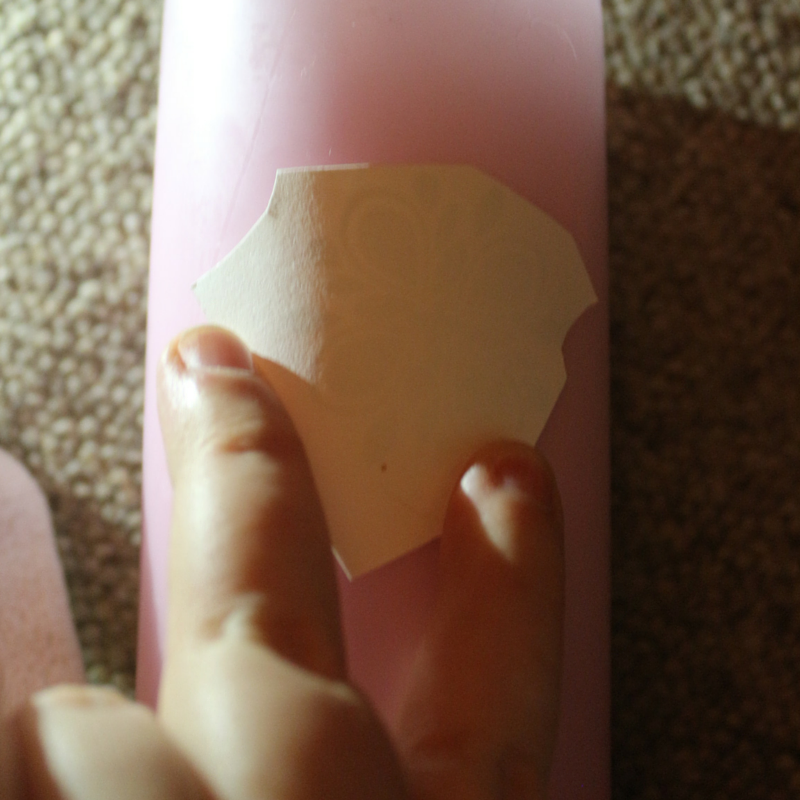 Carefully peel off the backing paper to reveal your design. If it has been wet enough this should be easy, if it seems tricky carefully lay it down and wet it some more. While the design is still slightly wet, very carefully tap down any creases. Be really gentle with this. Leave it to try, it's best to leave it or about a minute so you don't accidently smudge or tear the design. Move on to another candle while you're waiting! Enjoy! 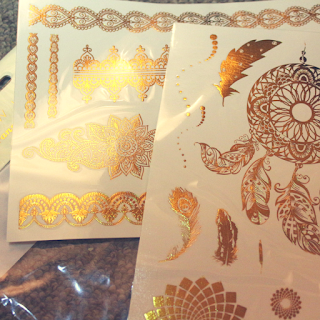 I used a rose gold colour transfer for mine but this works great with silver or gold and coloured. 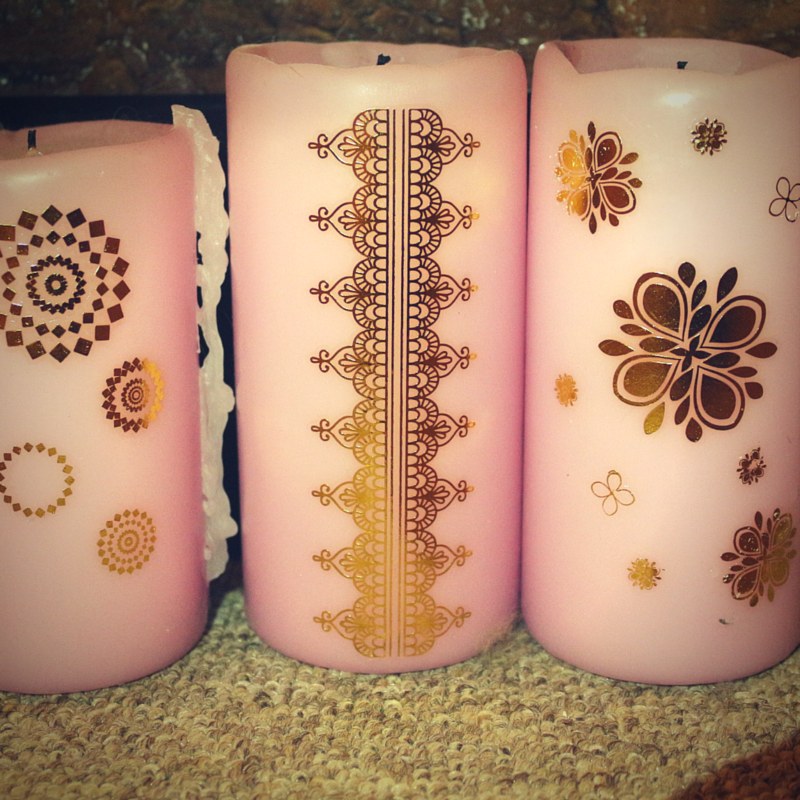 Place somewhere pretty and enjoy your candles, no one else has one like it!! !